Lerato "Lira" Molapo was born in Daveyton, South Africa, on March 14, 1979. After winning a competitions for young singers and songwriters, Lira started performing live at the age of 16, singing both cover versions and self-penned songs. In 2000 she was discovered by musician and producer Arthur Mafokate, who had her sign with his own record label, 999 Music, and helped her release her debut album, All My Love (2003). 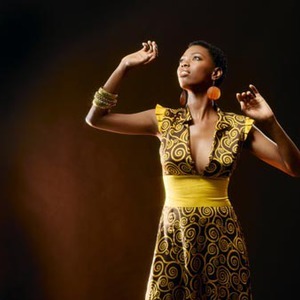 Having left 999 Music, Lira teamed up with keyboardist Victor Mngomezulu, bassist Tshepo Sekele, and producer Robin Kohl and in 2006 released Feel Good, a much more accomplished work that revealed her as a talented artist, able to move easily from modern R&B to jazz, from lush pop to bossa. A huge success, it led to five nominations at the South African Grammy Awards (Best New Artist, Best Female Artist, Best R&B Album, Best Single, and Best Video). In July 2007 the album was released in Italy, where its title track gained some massive airplay.